Manchester City don't need to win the Champions League to be judged a success, claims Belgian star Kevin de Bruyne in an interview with the BBC. European club football's most prestigious trophy has proved elusive to City despite the hundreds of millions invested in players since Abu Dhabi United Group bought the club in 2008 with a semi-final appearance in the 2015/16 season under Manuel Pellegrini their best showing. 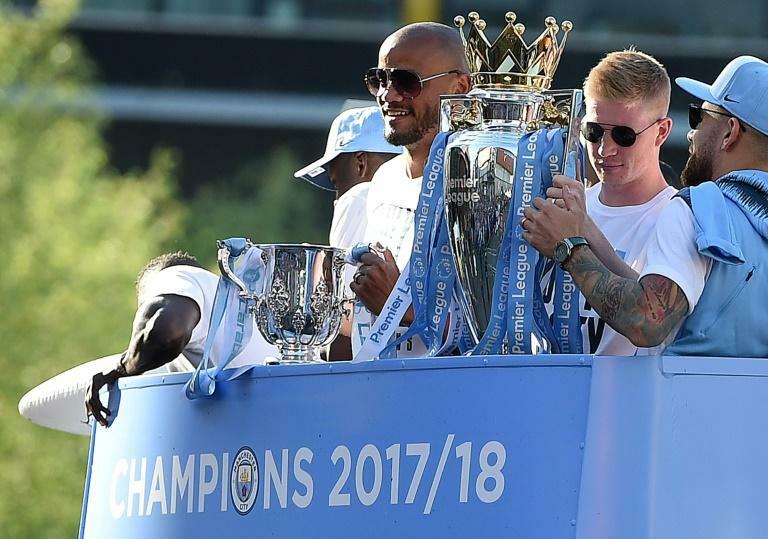 However, De Bruyne -- whose Champions League hopes were dashed by Premier League rivals Liverpool last season -- tells the BBC winning the league crown last season probably ranks as a greater achievement than if one were to win the Champions League. "I don't agree that we have to win the Champions League to be a success," said De Bruyne, who has been with City since 2015. "It is a big title to win but in the Champions League you don't need to have the consistency that you need in the league. "We were great for the whole year, maybe a bit less against Liverpool, and so we were out." De Bruyne speaks with even more recent painful experience of disappointment at a major tournament with Belgium beaten by eventual champions France in the World Cup semi-finals. "It is a tournament, you need to be good at the right time," he said. "In the league if you have a bad spell then you are running behind. "It is a different prospect, cup games are different to a league." De Bruyne, who scored a stunning goal in Belgium's 2-1 World Cup quarter-final win over Brazil, says he enjoys a professional relationship with City manager Pep Guardiola. Guardiola is filmed in the eight part documentary series 'All or Nothing' made by Amazon covering City last season -- which is to be aired on the streaming service Amazon Prime on Friday -- telling the players if they felt they would play better by hating him then they should do so. "Pep has different relationships with everyone," De Bruyne told the BBC. "I am lucky that I like to play the way already that he implemented so it was an easier transition, more natural." De Bruyne, who unlike his former Genk team-mate Thibaut Courtois did not enjoy a successful time when he joined Chelsea in 2012 and was eventually sold to German outfit VfL Wolfsburg in 2014, concedes levity can be in short supply in Guardiola's pep talks. "In the end sometimes it can be an overload (of information from him) but every person in life has that when they are at work. We cope with it fine. "You don't have to shout at him, you talk like an adult, you are both people who came here to win as a team. If you explain what you are thinking then there is no problem."